Choose a luxury car rental in Vienna with Sixt for our extensive fleet and premium service. With exotic car rentals from leading brands such as Audi and Jaguar, your luxury sports car, convertible or SUV will be packed with all the latest features. 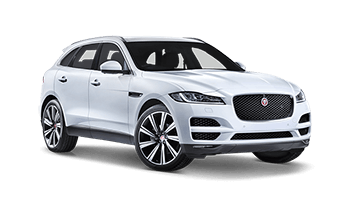 With a distinctive and beautifully designed luxury car rental, you can tour this grandiose capital in style and comfort. Take in the neoclassical architecture with the top down, travel between the diverse districts at your own pace and listen to the Vienna’s greats like Brahms, Mozart, and Beethoven on a premium inbuilt entertainment system. Rent a luxury car in Vienna and you can easily take a day trip to the stunning Wachau Valley with its Benedictine Melk Abbey and amazing scenery, or simply head to the outskirts of Vienna to experience beautiful countryside and bathe in the Danube. Drive the top down and enjoy the warm Viennese summers or relish the elevated views of an SUV. Driving an exotic car rental in Austria is a thrilling experience with excellent road networks in Vienna and fantastic alpine scenery to explore nearby. With seating made from fine materials and premium features such as inbuilt infotainment, our luxury car rentals are a relaxing and enjoyable drive. Our SUVs offer a spacious amount of legroom while our many of our sports cars and convertibles also have back seats for extra passengers. With power steering and strong engines, our exotic car rentals are sporty and quick. Safety features such as rollover pop-up bars and extra airbags enable you to cruise confidently and are vehicles are subject to rigorous safety checks. Choose an exotic car rental with Sixt and reserving your luxury vehicle is simple with our speedy online booking service. Rent a Sixt luxury car for our flexible rental periods, including one day, weekly and long-term rental deals. When you book online you can browse our locations, choose a one-way rental option to drop off at a different branch and even tailor your vehicle with our excellent optional add-ons. In Vienna, you can take your pick from a wide range of extra protection options along with practical mobility solutions like additional drivers and GPS navigation systems.